← Can you help Escape Publishing choose a new category? 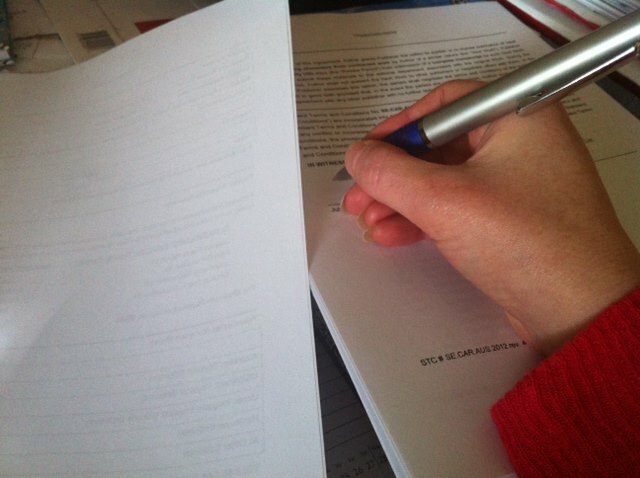 Book News: I’ve signed another contract! HAUNTED EVER AFTER (previously Haunted Housewives) – a romagic comedy novel about a prim and proper bride-to-be who is haunted by the ghost of her fiance’s ex-girlfriend on her hen’s/bachelorette weekend away. There’ll be fun and games, a stripper who has more to reveal than rock-hard abs, and one very feisty red-haired ghost on a mission. Releasing 1st September 2014. 12 DAVES OF CHRISTMAS – a heartwarming romagic comedy Christmas novella about a romance writer who spends more time on her fictional love lives than her own, and receives a surprising visit from her Grandmother’s ghost asking for help to find her first love, Dave, who disappeared during the war. Cue a Christmas road trip, and a series of funny and touching moments as they work their way through a list of Daves in search of the right one. Releasing 1st December 2014. MIRACLE IN MARCH (tentative title) – Book #3 in the Tarrin’s Bay series, though a complete stand-alone story just like The January Wish and February or Forever. …Miracle in March is about two ex-lovers both in need of a miracle, who find themselves unexpectedly reunited during a one week stay at the Tarrin’s Bay Beachside Cabins. Emma’s hiding the truth about why she ended their relationship six years ago, and James is no longer a high-flying lawyer but a single stay-at-home dad with an autistic son. At the Town of New Beginnings, truths will be shared, dreams will be remembered, and a miracle or two just may occur. Releasing 1st March 2015. I can’t wait to share the first book, Haunted Ever After, with you in September! The other two are currently in progress, so I’m working hard on making them as enjoyable as possible and meeting my deadlines! Haunted Ever After on Pinterest, 12 Daves of Christmas on Pinterest, Miracle in March on Pinterest. You can also stay updated by subscribing to this blog, and to my email updates at www.julietmadison.com (free gift included!). Posted on May 2, 2014, in Announcements, Books and tagged 12 daves of christmas, 3 book deal, books, coastal romance, escape publishing, haunted ever after, miracle in march, romagic comedy, romance, romantic comedy, small town romance, tarrin's bay, Tarrins' Bay Series, women's fiction. Bookmark the permalink. 10 Comments. Congratulations Juliet! That’s great news and all three books sound wonderful! Congrats – that’s brilliant news!!!!!!! Congratulations! That is exciting news…doing the happy dance with you! Well done, Juliet. Things are really buzzing for you.